I started my love for the beauty world at a very young age, always dabbling into all aspects of makeup and hair . In 2008, I pursued my career by enrolling in the Paul Mitchell School in Allentown, PA. While there, I was able to experience many different aspects of the industry by doing hair and makeup on the movie set of The Fields. I then traveled to Los Angeles where I worked back stage doing hair for LA Fashion Week in October 2009. 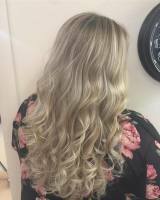 Following graduation, I started working in Hellertown as a stylist for 2 years. I became certified in the Marcia Brazillian Blowout Treatment and started working with Redken and Goldwell color lines. 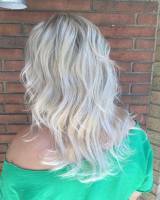 I specialize in highlights and corrective color. In 2011, I had the opportunity of doing hair and makeup for a documentary at the Sayre Mansion in Bethlehem, PA. In 2012, I joined the team here at Simplicity. I continue my love for the industry with the newest trends with monthly visits to the ARROJO studio in New York City. When I'm is not behind the chair, I love spending time with my family and running.